100% polyester mesh liner with PU foam base limits friction against the skin and helps foot "breathe" a little easier. 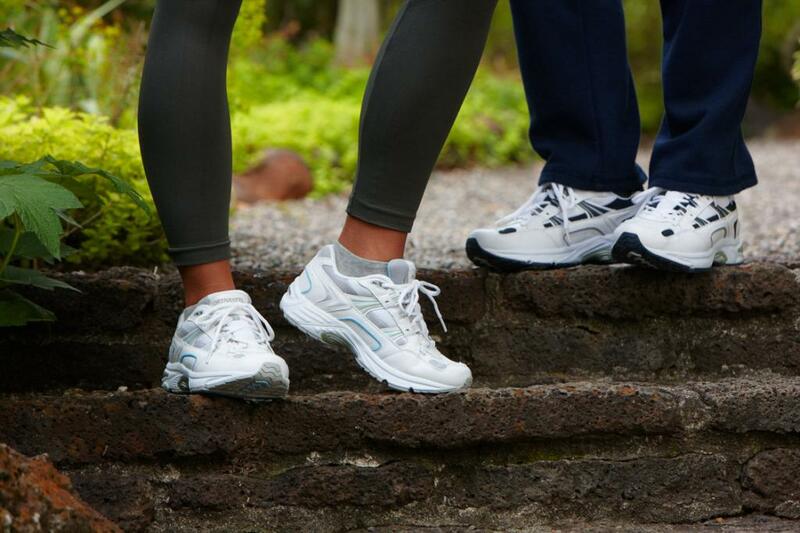 Removable insole to easily insert a custom orthotic. 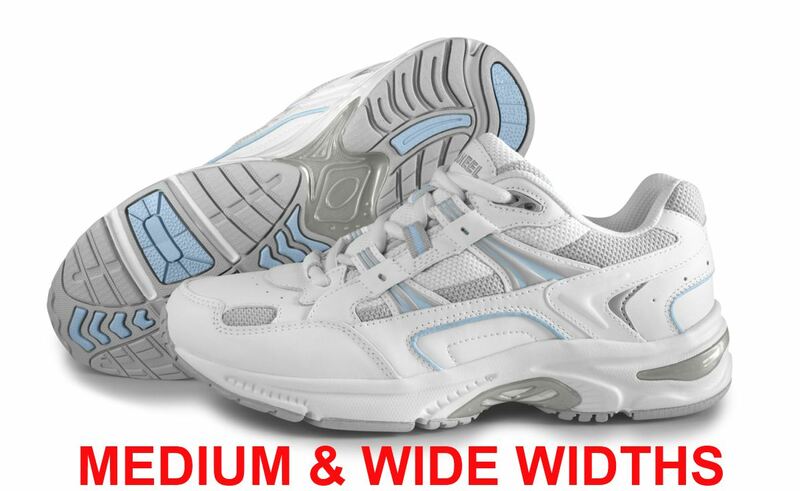 .5" elevation EVA midsole molds to the shape of wearer's foot. Thermoplastic heel counter provides stability and support. 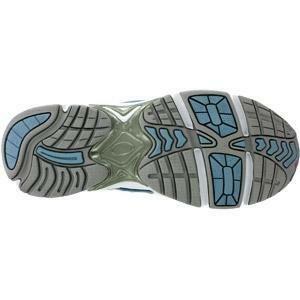 Patterned outsole provides traction on a variety of surfaces. White exterior with hints of light blue and gray. Was given the APMA Seal of Acceptance. Sold in women's sizes 6-11. Free shipping and returns from Orthotic Shop. Women's Orthaheel Walker I love these shoes. Have 3 pair of Orthaheel sandals and thought I would try the Walkers. I'm on my feet most of the day at work and they were very comfortable from 1st day. Ordered 1/2 size down from my normal size as was directed; glad I did as there was plenty of room. I'm a medium width but had to order wide in past to fit my orthotics. I ordered the Orthaheel Walker in medium and it fit just fine. Orthaheel, PLEASE make a dress shoe/pump!! I would buy in several colors. 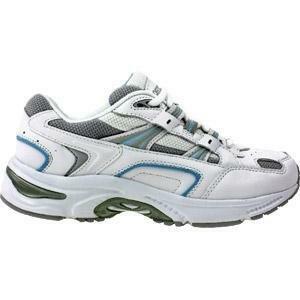 Will also be purchasing another pair of Walkers. 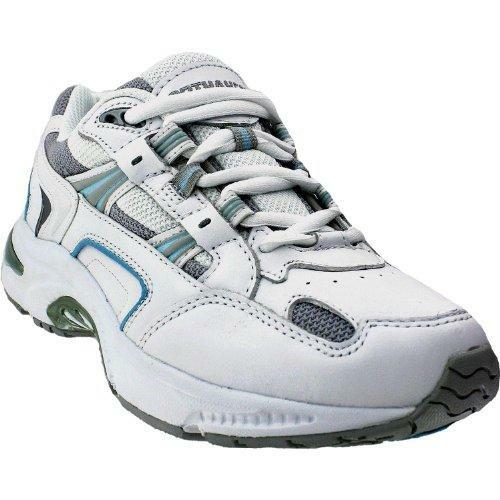 Best Walkers I have plantar fascitis and these are the best shoes I have had to help with that. My feet don't hurt in them and I can be on my feet all day with comfort. The look is a little old fashioned and the shoe looks wide but I still love them! 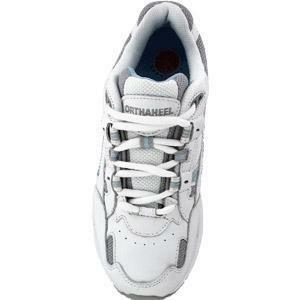 great for plantar facitais Love this shoe, I have bought MANY, trying to find one that I can wear. Great for working out. I do find that when I take the shoes off, the pain comes back. The Very Best THe shoes were for my daughter who has Plantar Facitis. She just loves them. First shoes she's worn that make her feet feel good and she can keep on all day.